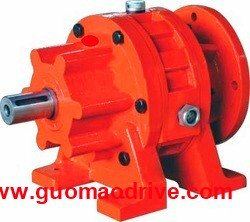 W: Horizontal type gear reducer, with inline shaft. Lubrication: Grease or oil lubricated models available. Seals: Nitrile material, dual lipped, double output seals available. 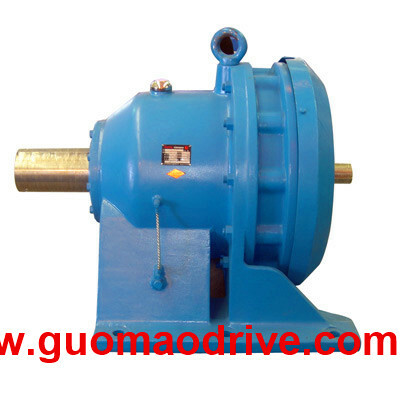 Cycloidal pinwheel speed reducer is a novelty transmission machinery. 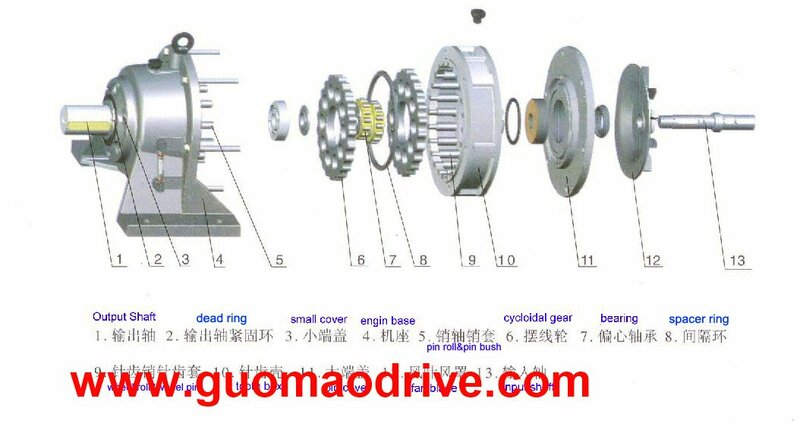 It adapts K-H-V less differential gear epicyclic transmission principle and cycloidal pinwheel meshing. 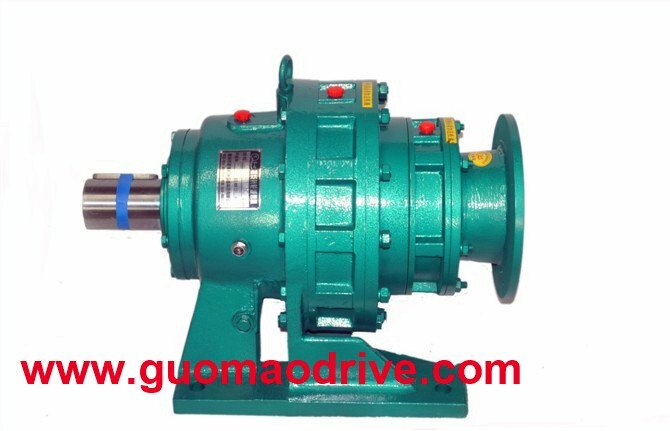 It is widely used for driving and slowing down device in the fields of textile, printing and dyeing, light industry, foodstuff, metallurgy, mines, petroleum, chemical, hoisting and transport as well as engineering machinery, etc. The cycloidal pinwheel speed reducer produced by this factory is good in quality, reliable in performance, various specification, reasonable price and has won the title of quality product authorized by Ministry of Machine Building and Jiangsu Province. All transmission device of epicyclic cycloidal pinwheel speed reducer can be divided into three parts: input part, slowing down part and output part.